Robert wrote the very first Dalek story of Doctor Who’s revival in 2005, in an episode that was nominated for a Hugo award; before that, he contributed half a dozen adventures to the audio range produced by Big Finish. 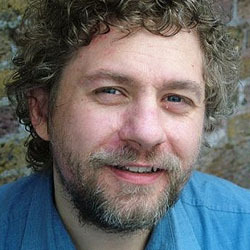 He began his career in the theatre, writing regularly for Alan Ayckbourn, and winning the Sunday Times Playwriting Award, and the Guinness Award in association with the Royal National Theatre. His interactive radio series The Chain Gang has won two Sony Awards, and his five collections of weird short stories have won the World Fantasy Award, the Shirley Jackson Award, and three British Fantasy Awards. Thank you so much for your inspiration and community spirit. I can’t say enough how energizing and uplifting it is!